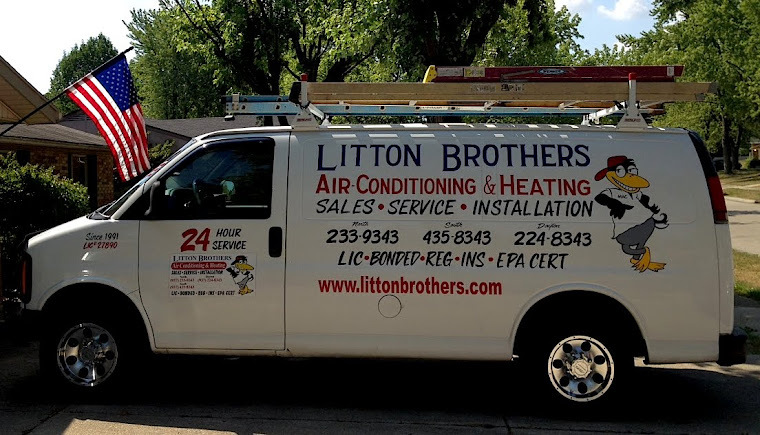 LITTON BROTHERS AIR CONDITIONING & HEATING DAYTON, CENTERVILLE, HUBER HEIGHTS, KETTERING: LITTON BROTHERS AIR CONDITIONING & HEATING DAYTON OFFERING GREAT DEALS ON AC CLEAN & CHECK SERVICES ... JUST $59.95! 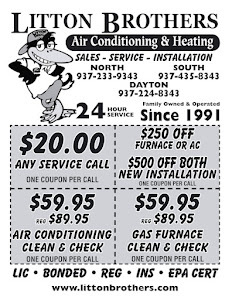 LITTON BROTHERS AIR CONDITIONING & HEATING DAYTON OFFERING GREAT DEALS ON AC CLEAN & CHECK SERVICES ... JUST $59.95! For maximum efficiency and years of reliability from your AC unit, call Litton Brothers Air Conditioning & Heating in Dayton for a "clean and check" service, so you can be sure your unit will operate at optimal and efficient levels all summer long. Litton Brothers won't just come to your home and eyeball your system — like many other companies will — they'll also perform a thorough cleaning of your entire system, as well as any diagnostics which need to be conducted. And to make it even better ... Litton Brothers will do it all for just $59.95 ($30 off the regular price). Litton Brothers is currently offering some amazing deals on other services as well, like $500 off installation — when purchasing both furnace and AC units. You can call them 24 hours a day (including weekends and holidays).